Dave Middlebrook became Archdeacon of Bedford in March 2019. He was formerly Vicar of St Luke's, Watford, from 2012, Dave has ministered in St Albans Diocese since his ordination in 1998, serving also in Chorleywood and Adeyfield (Hemel Hempstead). 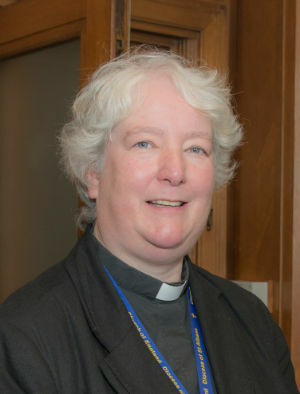 Janet Mackenzie became Archdeacon of Hertford in September 2016. She has worked in the Diocese since her Ordination Janet was formerly Vicar of St Augustine’s of Canterbury, Limbury and Area Dean of Luton. She also worked as an On Call Chaplain for the Luton and Dunstable Hospital. 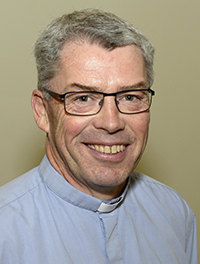 Jonathan Smith became Archdeacon of St Albans in July 2008 and has twenty-eight years experience of ordained ministry including a period as Chaplain of City University in London. He has worked in the Diocese of St Albans for the past twenty years in both rural Bedfordshire and suburban Hertfordshire. He also served as Chaplain to Bedfordshire Police, as a Rural Dean and as Chair of the Diocesan Board of Patronage.